Dubai: The first-of-its kind pre-order digital menus in Mandarin at select restaurants, portable hot water dispensers across concourses, payments through Alipay, China’s largest mobile and digital payment platform and welcome cards inserted into Chinese passports at Immigration — Dubai International Airport is going all-out to woo Chinese visitors. And no, it’s not just about the Chinese New Year. 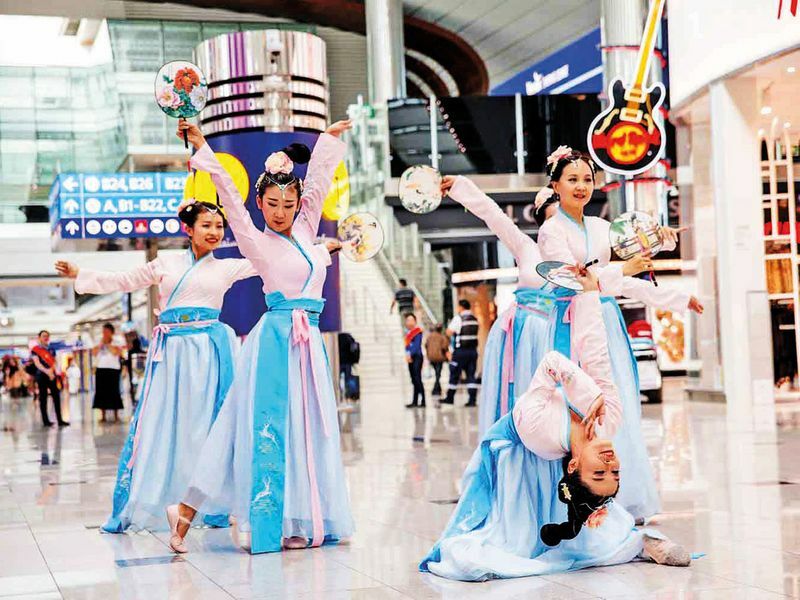 No doubt, a raft of festivities was launched on Wednesday to usher in the Lunar New Year, but as Eugene Barry, executive vice-president, commercial, Dubai Airports, told Gulf News on Tuesday, many dedicated services will be permanent features as they are part of a “China Ready” strategy to boost Chinese traffic. “We are adopting several products and services to cater to the Chinese as they are our fastest-growing segment,” he said. After English and Arabic, Chinese is the first foreign language that is being promoted by DXB in such a big way. “The idea is to show customers that we really care by anticipating and addressing their unique requirements and exceeding their expectations. We want Chinese passengers who spend in our airports to feel at home,” said Barry. He said Dubai Airports has even launched a special magazine edition in Mandarin. 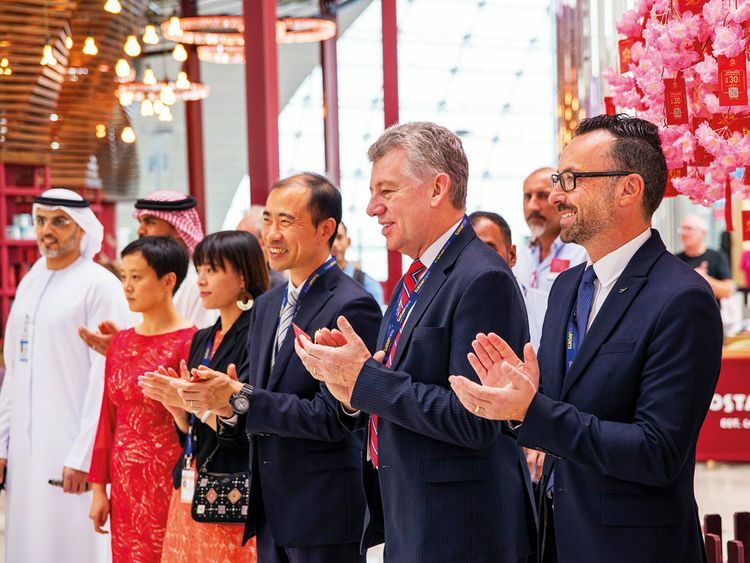 It is deploying Mandarin-speaking ‘May I Help You Staff’ at key customer touch points across the airport while also providing four dedicated immigration counters at arrivals hosted by Emiratis fluent in Mandarin, for visitors from China. He said Dubai Airports has also partnered with DTCM to include special passport inserts at immigration for arriving Chinese travellers, which will include a QR code that links with recommendations for events taking place across the city during Chinese New Year. Late last year, Dubai Airports also signed an agreement with China’s leading tour operator C-Trip. On Wednesday, Paul Griffiths, CEO of Dubai Airports, welcomed Lei Jin, economic and commercial counsellor and Weiyun Deng, the consular attaché from the Consulate General of the People’s Republic of China in Dubai, and other officials to usher in the Chinese New Year festivities. Meanwhile, customers travelling on Emirates’ flights to and from select destinations in Asia during Lunar New Year can expect a special treat between February 4 and 6. A special selection of delicacies and traditional Chinese fare await customers across all classes. To complete the travel experience, festive treats will also be available in the Emirates Lounges in Dubai, Bangkok, Hong Kong, Kuala Lumpur, Beijing, Shanghai and Singapore. On select flights, customers travelling in First Class and Business Class will also receive a red packet with two chocolate gold coins, symbolising the auspicious value of “lucky money” during this special occasion. In addition, those who wish to pick up a gift for family and friends can enjoy a 20 per cent discount on Duty Free items on-board from February 8 to 10 for all purchases over $95. 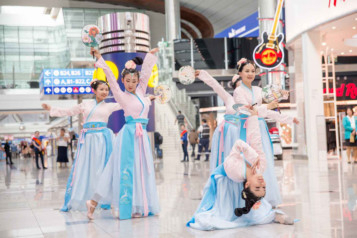 Mall of the Emirates: Four 15-minute shows daily till February 14, including Acrobat Chinese Show and the Chinese and Dragon dance displays; calligraphy and rice painting workshops, live Mahjong performance. The Dubai Mall: Live performances in China Art theme until February 10; Ancient art form entertainment in the Star Atrium, Chinese finger painting, umbrella art and lucky knot tying, Mahjong and Chinese chequers at Fashion Avenue from 10am until 11am daily; roaming parades starting 4pm; traditional music displays, parades and puppet calligraphy until 9pm. Riverland Dubai: Will be decked with dazzling red and gold Chinese traditional lanterns from February 1 to 9. Motiongate: Traditional activities with favourite film characters, including dragon dances and a parade with Master Po. Legoland Dubai: Lego-themed fun activities from February 5 to 16; mosaic-building, Wishing Wall and walk by Factory Street which will be decorated with traditional lanterns and red lights. IMG Worlds of Adventure: Special promotion, offering Chinese nationals and visitors buy-one-get-one-free on admission tickets. Valid from February 5 to 28; plus 20 per cent off on retail merchandise. Atlantis The Palm: Daily entertainment with a choreographed roaming Lion Dance running through restaurants from 7pm until 7.45pm daily until February 6. Starting at Kaleidoscope, the performance will then move to Ossiano, the Lobby, and finally ending at Saffron. Plus special Orient menus. Bal Al Shams: Authentic Chinese dishes at Al Forsan until February 13 from 7pm. The Palace Downtown: Special promotions at Thiptara, Ewaan and Al Bayt.